Parenting is hard! It’s even harder in a new place, surrounded by a new culture. Parenting in America is often very different from how Karen parents themselves raised themselves in Burma. The challenges faced by children and teenagers here can be totally new to Karen parents, and Karen children may be more comfortable navigating the landscape of American society than their parents are. To help Karen parents successfully address the new and different challenges that come with parenting in America, KOM regularly offers a three-part parenting class in Karen. 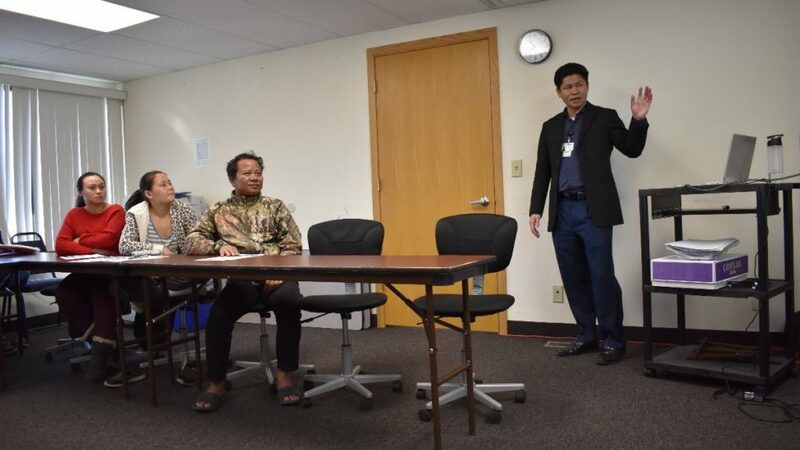 Julyna Loo, KOM’s Community Health Educator, directs and teaches the class in tandem with two other KOM staff, Community Health Educator Ta Da and Karen Cultural Broker Lwepaw Nwe Kacher. Each section of the three-part class is taught by a different KOM staff member and covers a different topic, from raising healthy children and teenagers in the US, to communication and discipline, to identifying risky behaviors in Karen youth. 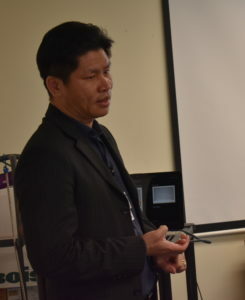 “Most of the parents in our classes have only been here an average of three years,” Loo states, “and many of their children are teenagers.” The demographics of the class’s students inform the content; while the techniques taught apply to a broad range of ages, skills for parenting teenagers is definitely a focus. To teach Karen parents about disciplining children in the American style, Loo and her colleagues introduce techniques like time-outs, taking privileges away, and grounding. They also stress the importance of choosing to talk instead of yell when a child does something disappointing, like fail a class or get into trouble, to ensure that communication doesn’t break down. Instructors in the class also teach about signs of their children engaging in risky behaviors. In recent years, there have been troubling increases in drug use and gang affiliation among Karen youth in the Twin Cities. 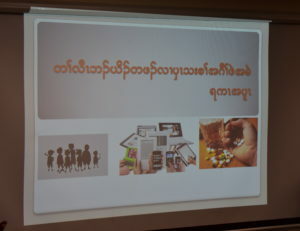 Loo attributes to deliberate targeting by gangs and drug dealers: “They target Karen youth, refugee youth, because they know it’s a vulnerable population.” To combat this, parents in the class learn warning signs for drug abuse and gang association, like sudden behavior changes and associating with significantly older friends. The three-part parenting class has been running since early 2017, when Loo first ran a pilot class along with U of M professor Sarah Hoffman and social worker Jenn Kortgard. KOM is thankful to have worked with and taught so many parents in our community, and we hope to continue to help Karen parents thrive in raising their children here in Minnesota.